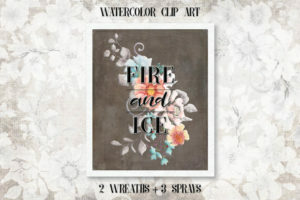 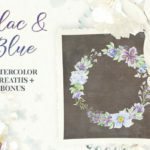 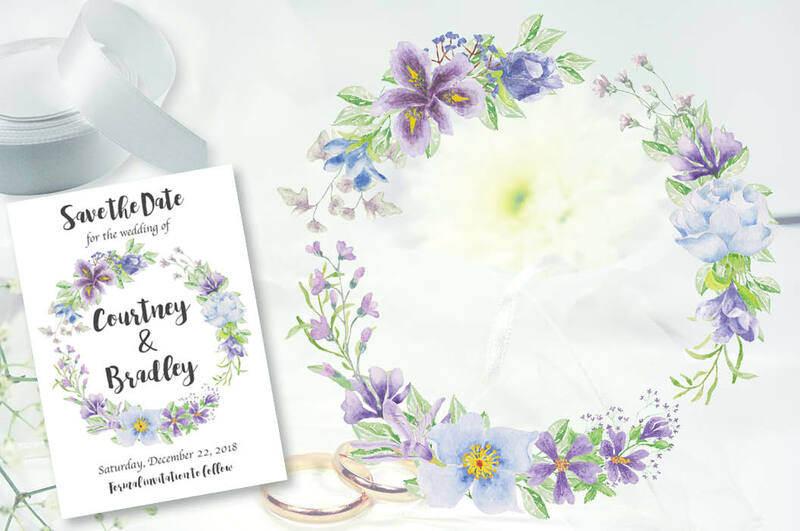 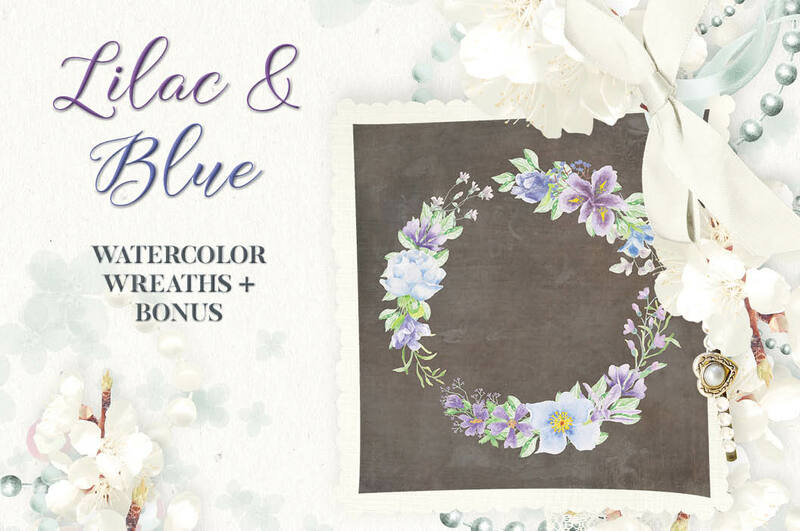 Set of two wreaths designed with hand painted watercolor flowers in delicate shades of lilac, lavender and blue. 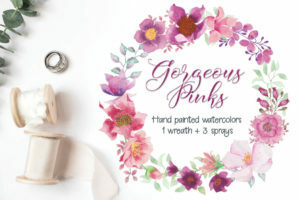 Create pretty stationery and other items in minutes. 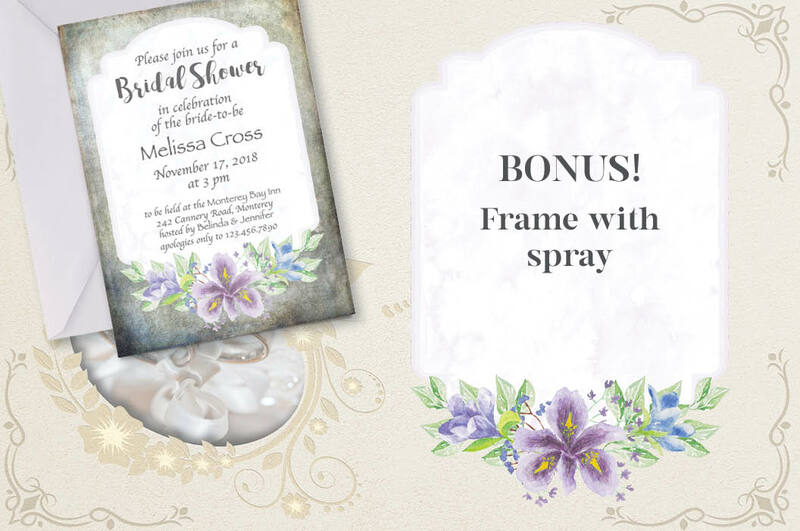 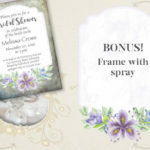 Bonus frame with floral spray included. 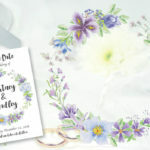 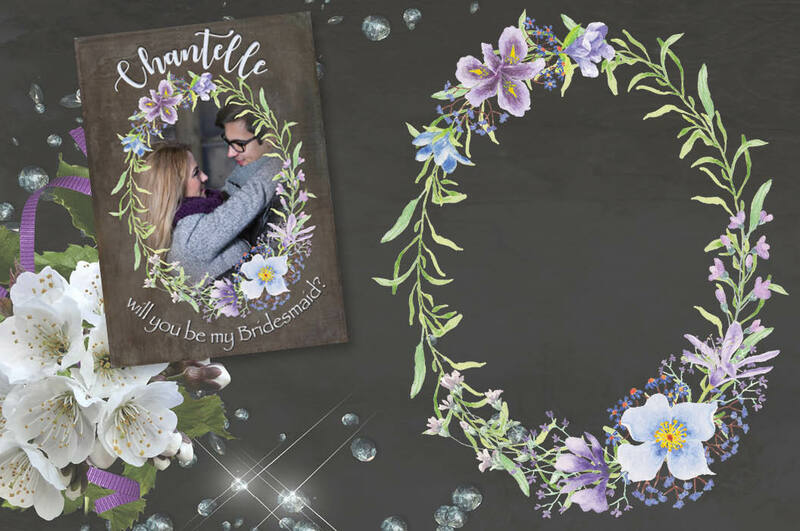 1 zipped folder is immediately available for download following purchase, containing the 2 wreaths and the frame with spray (JPEG and PNG) – 6 files.